De Quervain’s Tenosynovitis treatment – should we look at the ligaments of the wrist and thumb? Thumb pain can be confusing in that there are many issues that can cause pain in the thumbs. This confusion is none more evident than in the many patients we see with a diagnosis of De Quervain’s Tenosynovitis. See if this sounds like a familiar story to you. A patient (mainly a women in her 30s or older) will come in with thumb pain, it has been going on for a while. In many cases the patient will say they are not sure how it happened. Their thumb just started to hurt. Some patients will report an intense pain at the onset and thought that they had “done something.” But they could not think of what they had done as they did not have an acute injury. 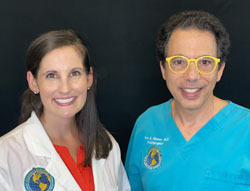 As it is their thumb patients will often complain that using a computer mouse or their smart phones aggravate their pain. They will also tell us about pain while sleeping and waking up with a frozen in place thumb. They will tell us of how they have bought splits and tapes and braces. How they have changed their daily chores to compensate for the swelling and pain in their wrist. Some will tell us how they started to do things with their less dominant hand and now the less dominant hand was hurting a little. When we ask the patient, “do you have a job or hobby that requires a lot of use of your hands,” they will often reply yes and then we explain that we want to explore and get down to the wear and tear aspect of their thumb pain and the treatments they are exploring. Almost all of these patients will tell us that they take a lot of anti-inflammatory medications, many will tell us that they have a prescription dose from their primary providers and specialists. De Quervain’s Tenosynovitis they insist is a problem of inflammation caused by trapped and compressed tendons at the base of the thumb. 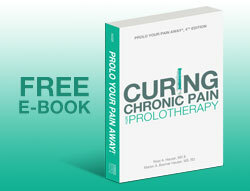 Anti-inflammatory treatments are necessary to relieve the pressure. Anti-inflammatory management they relay to us, is their way of avoiding surgery. In this article we will look at other ways including regenerating and repairing the damaged tendons causing the inflammation and addressing the joint instability in the thumb and wrist causing the inflammation as the root cause of the problem. People do get pain relief from cortisone injections for De Quervain’s Tenosynovitis. Sometimes one injection can provide months of relief. It is very likely however that if you are reading this article, you are not a patient who had long-lasting relief and you are now at that fork in the road or more cortisone, a surgical release of trapped tendons, manage along with anti-inflammatories. If you decide on more cortisone, you may get pain relief. Here are some opinions from other doctors in the form of their published research. Cortisone injections make pain worse for De Quervain’s Tenosynovitis, especially in people who have physically demanding jobs. In the European edition of the November 2018 issue of the Journal of Hand Surgery, (2) doctors investigated the influence of pain sensitization on the prognosis of de Quervain’s tenovaginosis (tendon inflammation) after a local corticosteroid injection. One hundred and fifteen patients with de Quervain’s tenovaginosis who were treated with corticosteroid injection were recruited. Pain scores were recorded at baseline, before cortisone and at 6 and 24 weeks after the injection. Scores at 6 weeks correlated slightly with higher Pain Sensitization (more pain). At 24 weeks pain scores correlated moderately with higher Pain Sensitization (more pain) and lower pressure pain thresholds (less tolerance to pain). Heavy manual work was also independently associated with a higher likelihood of persistent symptoms and pain after a local corticosteroid injection for de Quervain’s tenovaginosis. Clearly, someone who needs to take cortisone so they can continue to work, does not want to hear that there is a good chance after the cortisone, they will have more pain. 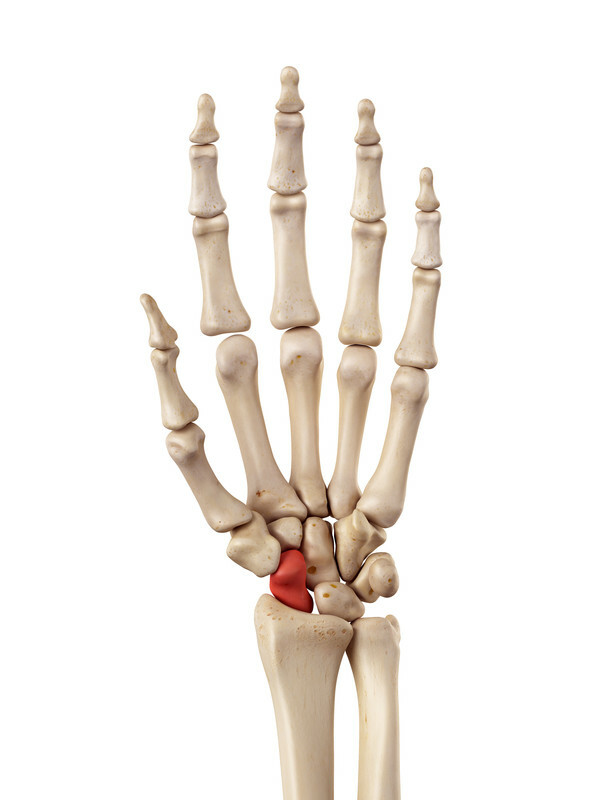 The scaphoid bone is one of the small carpal bones that sits below the thumb joint. In September 2018, doctors wrote in the journal Medicine (3) of destruction after repeated local glucocorticoid injections. The doctors of this study illustrated the threat of bone death by documenting the story of a patient who had been diagnosed with de Quervain’s disease and was treated by repeated local glucocorticoid injections. When the corticione injections failed, the patient underwent surgery for de Quervain’s disease. Five years after surgery for de Quervain’s disease, the patient went to the hospital with sudden onset of intolerable pain in her right wrist. The patient said there was no injury or trauma, the wrist just started hurting badly. In spite of nonsurgical treatment with rest, immobilization, painkillers, and surgery, her wrist pain was not improved. After further repeated local steroid injections in her wrist, radiographs, and magnetic resonance imaging of her wrist showed the avascular necrosis (bone death) of the scaphoid. This patient declined any further surgery. In the British Medical Journal’s BMJ Case Reports, (4) doctors discuss the problems of skin atrophy from steroid injection for de Quervain’s disease. They illustrated the case of de Quervain’s disease in a 71-year-old patient went to the doctors with an abnormal patch of skin on the right wrist. Eighteen months previously, she had undergone an intra-tendon sheath steroid injection (0.25 mL triamcinolone 40 mg/mL) at the site, for de Quervain’s tenosynovitis. Skin atrophy is a potential complication of intratendon sheath steroid injections and patients should be warned of this as part of their consent process. Skin atrophy from intratendon sheath steroid preparations can be rapid due to the potency and persistence of the steroid in the subcutaneous tissues. Steroid skin atrophy is irreversible if the dermis is involved, and treatment options include observation, excision with grafting and intradermal fillers. In the American Journal of Hand Surgery (5), doctors at the University of Michigan examined cortisone injection benefits in patients with three different hand problems: Carpal tunnel syndrome, trigger finger, or de Quervain tenovaginitis. This study examined 18,335 patients with de Quervain tenovaginitis. Initially, 84% of patients with de Quervain tenovaginitis were treated with the steroid injection. After one steroid injection, 67% of the patients with de Quervain tenovaginitis moved onto surgery. Many people are helped by surgery for De Quervain’s Tenosynovitis patients. Not all. Surgery is the last option for the treatment of De Quervain’s Tenosynovitis. The simple goal of the surgery is to relieve the pressure on the tendons in the thumb area that make the wrist move back and forth and side to side by cutting through the tendon sheath behind the thumb. In the illustration, the white band that lays horizontally across the wrist is the tendon sheath. Under the tendon sheath is a network of tunnels that tendons and muscles move through. These are called dorsal compartments. Your surgeon may explain to you that you have compression in the first dorsal compartments and that a vertical, top to bottom cut is needed to make more room for the tendons. In the first dorsal compartment space are the abductor pollicis longus and the extensor pollicis brevis tendons. 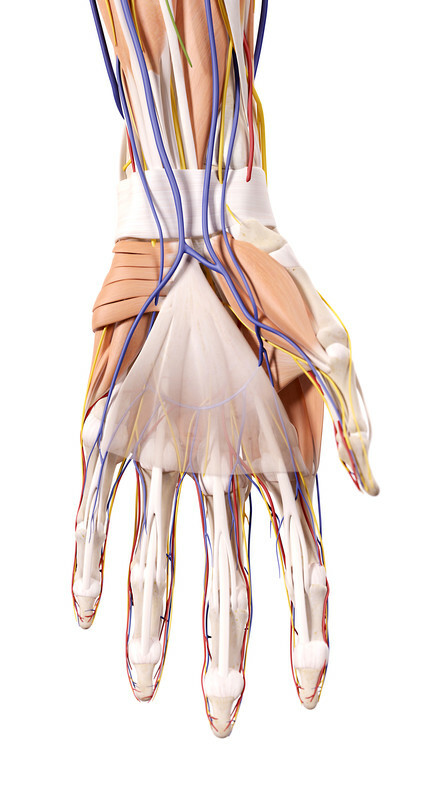 They convert muscle power into movement in the hand, wrist, and thumb. They are the tendons who are being compressed, irritated, inflamed and causing the problems. As anti-inflammatory and cortisone have not successfully stopped this inflammation causing compression. Tissue now needs to be cut away. Above we referenced a January 2019 study, (1) in which doctors wrote in favor of surgery over steroid injection because of concerns about cortisone. Let’s hear now what they say about surgery. In this study, 46 cases of De Quervain’s tenosynovitis received surgery with the with longitudinal (top to bottom) incision. There were a total of 40 patients with 9 males and 31 females between age group of 28 and 62 years. Standard patient satisfaction and pain scores were very positive for many of the patients. It was a good surgery. However, there were peritendinous adhesions in 8 patients and ganglion arising from first dorsal compartment in one patient. Persistent numbness to first dorsal web space due to injury to superficial radial nerve in 2 patients. Six patients had recurrent symptoms and required revision surgery. The conclusion of this report: “Surgical release of De Quervain’s tenosynovitis remains the gold standard treatment, and longitudinal incision offers an advantage of easy identification of compartment, more complete releases of tendon sheath and peritendinous adhesions and less risk of palmar subluxation (the tendons leave their channels) of tendons. For many of the patients in this study, surgery was very successful. For others not so successful. In this study, 15% of the patients had to go back for a second surgery to fix the first one. In the illustration above you get a simple understanding that the tendon sheath is covered by arteries, veins, and nerve networks. As mentioned many people have very successful surgeries. Others get nerve damage. Let’s look at February 2018 research in the World journal of orthopedics (6) from Erasmus University Medical Center in Rotterdam, Netherlands. This study focuses on the incision of the tendon sheath. “(Surgery) has its complications. Recurrent tendovaginosis is a complication which occurs and often requires a second operation. Also (iatrogenic) nerve damage is frequently seen, varying from neurapraxia (temporary loss of motor and functioning ability because he nerves are now compressed and blocked) to total transection of the nerve, are reported in the literature. The surgical treatment of Quervains disease is the treatment of choice after conservative measures have failed. To operate safely in the area of the dorso-radial part of the distal radius and the first metacarpus immediately introduces the problem of crossing and intertwining superficial branches of the radial nerve and the lateral cutaneous nerves (branches of the musculocutaneous nerve). Each of which has its advantages and disadvantages and no best practice (‘golden standard’) could be found in the literature. Many patients will report to us that they were told surgery would be a great option for them with a good chance of success. They often ask us, if surgery was so good, why do they make people go through conservative care first? Why the cortisone, the anti-inflammatories? Why not just go straight to surgery? We present two studies above about surgery from surgeons, we could produce dozens more in support of surgery and warning against complication of surgery. Surgery complication in De Quervain’s tenosynovitis can make the patient’s situation much worse. That is why doctors tend to try NOT to perform the surgery. This case is that of a 62 year-old female radial (thumb side) and dorsal (backside) aspect of the wrist. The pain was aggravated with increased use of her hands and improved with ice and anti-inflammatories. Swelling on the backside of the wrist and thumb area confirmed a diagnosis of Dequervain’s Tenosynovitis with Intersection Syndrome (The swelling that may extend into the forearm). An ultrasound-guided steroid injection was subsequently performed in the first dorsal compartment and the intersection of the first and second dorsal compartments of the wrist. The injections provided complete pain relief for approximately 2 months. After 2 months, when the pain returned, the patient did not desire further steroid injections due to concern for its systemic effects. The patient was agreeable to prolotherapy injections, and a repeat injection was performed with a 4mL mixture of 1% lidocaine and 12.5% dextrose. The patient had complete pain relief for approximately 2 months; results similar to the prior steroid injection. The patient now returns for repeat injections every 2-3 months without any concerns for the systemic effects of steroids. 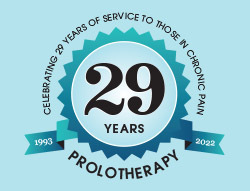 Prolotherapy is an injection-based treatment for chronic musculoskeletal pain. Its proposed mechanism for pain relief is the reduction of pain through the strengthening of stretched or torn ligaments. In this case history of Dequervain’s Tenosynovitis, the doctors did not mention tendons. They talked about an injection of dextrose Prolotherapy that strengthened the ligaments. Weakened ligaments are a common cause of chronic wrist pain, chronic thumb pain, and chronic hand pain because weakened ligaments lead to excessive joint instability and hypermobility. What does all this mean? A reason that the tendons are inflamed is that they are “being rubbed the wrong way.” By what? The tendon sheath and other structures in the wrist/thumb/hand complex. How is this friction occurring? Because the sea of ligaments that the wrist and thumb sit in is loose, allowing for the abnormal rubbing movement. In the treatments above, doctors sought to treat the problems of De Quervain’s tenosynovitis with anti-inflammatories which address the symptom, not the cause. With surgery, which addresses the symptom, not the cause. In Prolotherapy treatments, we address the problems of ligament damage to the thumb and wrist area. Treatment of De Quervain’s tenosynovitis is not a treatment in isolation. To effectively treat this problem you need to address the problems causing it, wrist and thumb instability. Prolotherapy is the injection of a solution for the purpose of tightening and strengthening weak tendons, ligaments, or joint capsules. 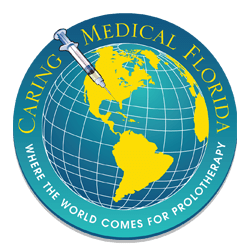 Prolotherapy works by stimulating the body to repair these soft tissue structures. As we discussed above, one explanation for the lack of response to De Quervain’s tenosynovitis traditional conservative therapies is that their underlying problem, ligament laxity, is not being addressed.